Colorado Congressman, Ken Buck and Congressman Mike Conaway, Chairman of the House Ag Committee will be holding an Ag Town Hall meeting in La Junta on Monday, September 10th. WHERE: LaJunta City Hall, Municipal Room, 601 Colorado Ave. 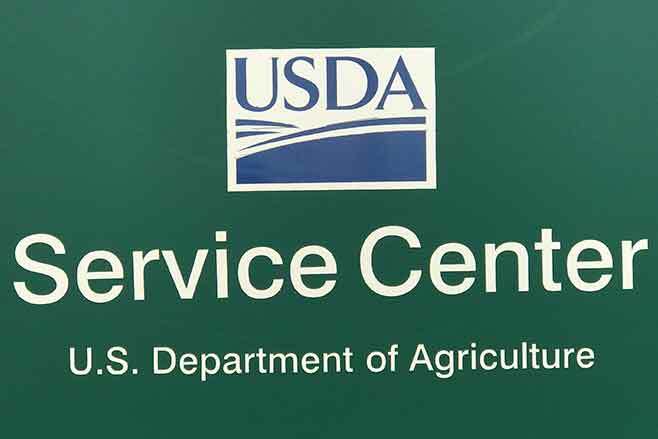 The FSA Office received preliminary information regarding the Market Facilitation Program that FSA office will be implementing in the coming weeks. This program has been is for producers who have directly impacted by illegal retaliatory tariffs, resulting in the loss of exports. The local FSA offices have not received training for implementing the program; however the basic information provided is as follows and is subject to change. Information provided to producers explains that signup will begin on September 4th; however again the local FSA offices have not received training for the program; therefore in Kiowa County the office will not begin signup until Monday, September 10th. MFP payments will be available to those producers who had an ownership interest in the crop on acres that were planted (prevented plant acreage not eligible) and reported to FSA for the 2018 crop year. Producers who reported such an interest are eligible for MFP payments, provided all other eligibility requirements are met. Eligible producers will receive a payment based on 50% of the producer's total production of the commodity. In December, 2018 an additional payment rate, if applicable will be announced for the other 50% of the production. Payment rates announced in August are as follows; crops listed are only relevant to Kiowa County. Kiowa County producers will have only the 2018 harvested wheat production available at this time. How the offices handle fall production will be provided at training. Example: Producer has interest in 1,000 bushels of wheat and has been determined eligible for MFP. The producer must reflect an ownership share of an eligible planted crop for crop year 2018 on FSA form FSA-578, "Report of Acreage". The producer must complete an MFP application. Again, the FSA office hasn't received training on this program; there could be additional details that could affect eligibility for the program. Final rates for remaining crops (except sunflowers) will be announced the end of September. Once the yield is known for the county and the commodity, the ARC-CO actual revenue can be determined. Payments cannot be computed for ARC-IC farms until the Marketing Year Average rates for all commodities planted on the farm in 2017 are announced. If the ARC-IC farm producer only planted wheat for 2017; the payment can be computed. Again, ARCPLC payments are NOT issued until October. There were some notable changes made to the Drought Monitor for the week; the area in the SW corner of Kiowa that a few weeks ago was designated as a D4 - exceptional drought has been moved to a D2 - severe drought designation. The drought authors urge producers to submit impact reports to document drought conditions in their areas. The website to complete an impact report is droughtreporter.unl.edu/submitreport. Inforation about conditions across the state can be found in this article.